Bernard Puiatti, Pam Bisaccia, Constance Nenni, and more than 250 other former patients of Dr. Spyros Panos, settled their vast medical malpractice lawsuit against him for $45 million. Spyros was released from prison one year ago this month, after serving less than three years of a four-and-a-half-year sentence for health care fraud. The U.S. government found that he was forging records every time he performed surgery that resulted in defrauding tax payers out of millions of dollars. He was also accused of performing unnecessary surgeries, many of which resulted in permanent injury, some in death. Bernard Puiatti died in January 2008 after Panos allegedly did not properly treat an infection on his knee. Pam Bisaccia trusted Panos to operate on her Achilles tendons and after multiple surgeries, she can no longer walk. Bisaccia alleged that her immobility was due to the negligence of Panos. Constance Nenni died after a knee surgery performed by Panos that her daughter, Debra Nenni McNamee, alleged she didn’t actually need. The U.S. government found that Panos performed thousands of surgeries, sometimes more than 20 in a day. It was also found that he was rewarded for his nefarious behavior. From 2007 to 2011 he received more than $7 million from Mid Hudson Medical Group located in Poughkeepsie, NY. In addition to the time Panos served in prison, he was also fined $250,000 and forced to repay the government $5 million that he collected by forging and falsifying Medicare claims. His license to practice medicine has also been suspended. Yet, as part of the medical malpractice settlement, Panos will not have to admit any wrongdoing. 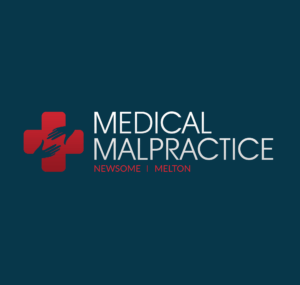 The $45 million settlement, agreed to by all sides, will be paid by Medical Liability Mutual Insurance Company and Healthcare Professional Insurance Company.